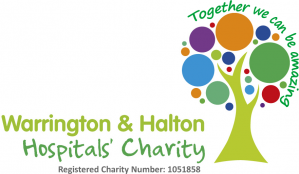 At Warrington and Halton Hospitals we have a good record of reducing infection. We also know it is important that people have clear information on the causes of infection. This page aims to give you some clear information on Clostridium difficile, commonly known as C.diff. C.diff is a more common infection that is mainly caused by use of antibiotics but the hospital has worked to reduce cases of C.diff by over 90% in he last five years to one of the lowest rates amongst hospitals like ours in hospitals in the North West region. C.diff is a bacterium (bug) that can cause infection in the gut. This infection mainly occurs after taking antibiotics. Many ‘good’ bacteria live in the gut, which help to keep people healthy. Antibiotics can affect these ‘good’ gut bacteria and this allows the C.diff to grow. C.diff can produce toxins (poisons) which can lead to diarrhoea and swelling of the bowel. Who is at risk from C.diff? How do you get C.diff? C.diff is found in the gut of a small number of healthy adults and very young children where it may not cause any problems. C. diff is released in the faeces (poo) of people who have C. diff infection and diarrhoea. The C. diff bacteria can form a protective covering (spore) which allows it to survive in the environment for a long time. Any piece of equipment or furniture can become covered with these spores. People can then become infected with C. diff by touching the equipment or furniture and then touching their mouth. The risk of infection increases when patients who have C. diff diarrhoea share bathrooms and toilets with patients who do not have the infection. C. diff can be spread from person to person by poor hygiene such as by not washing hands properly after going to the toilet and before eating food. You can also politely remind hospital staff and your visitors to wash their hands before they touch you. loss of appetite and/or nausea (feeling sick) - this is a rarer symptom. In severe cases patients can suffer swelling of the large bowel (colitis) which could lead to bleeding. In some cases the large bowel can widen and tear, resulting in infection of the surrounding tissue in the tummy. Although rare, this complication can be fatal. C.diff is diagnosed by detection of the toxins produced by the bacterium. A sample of diarrhoea will be obtained and sent to the microbiology laboratory. Once a diagnosis has been confirmed repeat specimens need not be taken. Fortunately, most patients only develop mild illness and stopping the antibiotics, if clinically possible, together with fluid replacement is often enough to relieve the symptoms. Sometimes it is necessary to give specific antibiotic treatment against C.diff. Two antibiotics are known to be effective. Metronidazole taken by mouth is often prescribed as the first choice. If this does not stop the diarrhoea another antibiotic Vancomycin, also taken by mouth, may be given. It is important that the whole course of antibiotic treatment is completed even if the symptoms disappear. Once the diarrhoea has stopped for 48 hours this indicates the infection has settled. What is the risk to my relatives visiting me in hospital? Your visitors are at little risk of catching the illness themselves unless they are currently taking antibiotics, tablets to lower acid in the stomach or steroids. In which case there may be an increased risk of infection, and therefore they should ensure they thoroughly wash their hands on arrival at visiting time and immediately before leaving the ward.